Can I buy photos or video of my ride? We sell sublime photos and video from your ride! You can purchase these straight after your ride for only $39 on a USB. 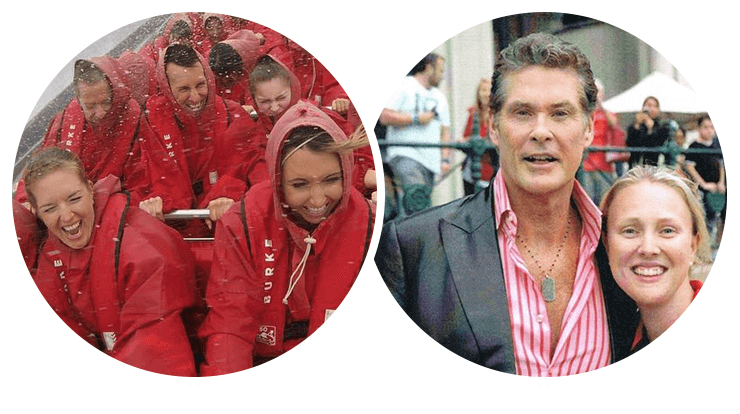 You will get a bit wet out on our ride, but we do have locker facilities at our wharf and also supply water-resistant ponchos for your comfort. Does Oz Jet Boating sell gift vouchers? 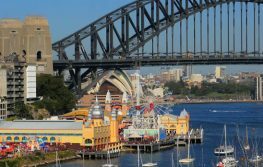 You can definitely purchase a loved one, friend or even for yourself an Oz Jet gift voucher to join us on one of our famous 30-minute public thrill rides from Circular Quay. Our gift vouchers are valid for 3 years from the date of purchase and will be emailed straight to your inbox. Sure do! Our staff will show you where you can leave any belonging such as backpacks, handbags etc during the briefing. And yes, these are free of charge for all passengers to use. 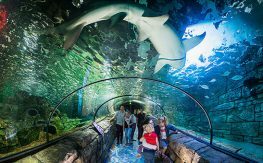 Do you have a height restriction? Passengers MUST be at least 1.2 meters (120cm) or taller to ride. For full terms and conditions of passage please click here. 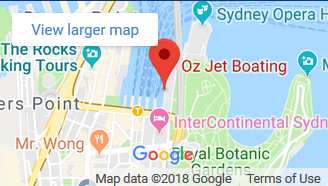 We are located on the Eastern Pontoon, Circular Quay. This is located halfway between wharf 2 and the Opera House. We always recommended to wear something comfortable that may get wet, and flat shoes are always best (YEP, thongs, flip-fops/Jandals and sandals are also fine to wear). We also provide all passengers with ponchos during the ride. Can I change the date and/or the time of my booking? You sure can! We just require all changes no later than 24hrs prior to your original booking, changes made within 24hrs will incur re-booking fees. To make any changes please do not hesitate to contact our friendly staff by phoning 02 9808 3700 or emailing [email protected] and we would be more than happy to assist. Can I take my camera or phone on the ride? You do have to leave all personal belongings behind (this includes cameras and phones), however, we will have an awesome onboard camera system mounted to the front of our boat which will be taking photos and short videos throughout your ride. You can then view and purchase ALL the photo and videos from your ride on an Oz Jet USB for just $39 each. 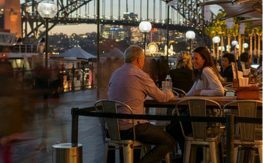 We've teamed up with these amazing businesses to offer you even more ways to enjoy our beautiful Sydney Harbour. Adrenaline can make you hungry so why not satisfy your hunger in style? Keep the wild rides and stunning views coming when you visit Luna Park. Why choose Oz Jet Boating? Don't just take our word for it! 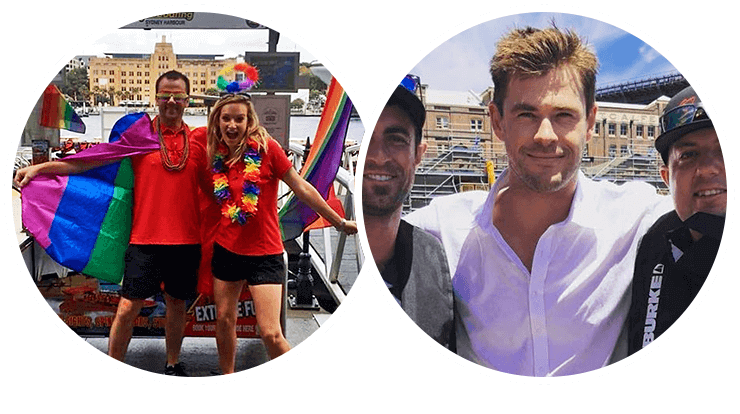 Here's what some of our happy sight-seeing thrill-seekers had to say about their Sydney Harbour jet boating experience. "That was an amazing adventure!" Sydney Harbour Boating Services Pty Ltd (ABN 18 164 245 550) is the licensed operator of Oz Jet Boating.